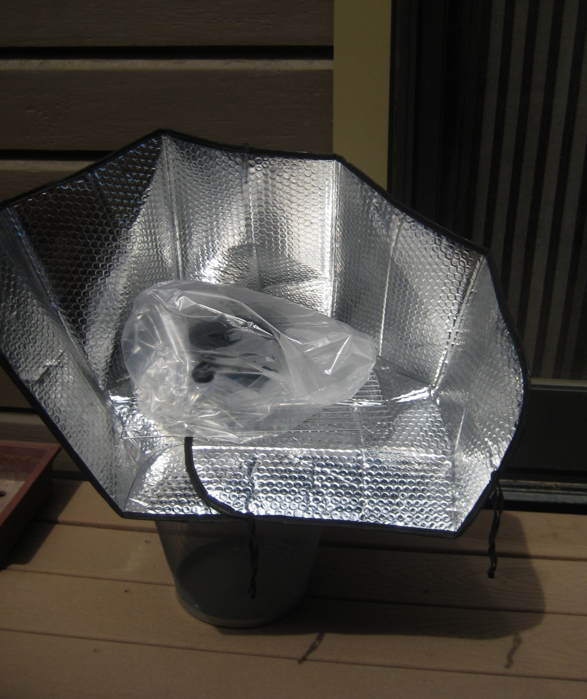 DIY Solar Cooker out of a Windshield Shade! Are you prepared for long power outages? I did some research on cooking without electricity recently and found a woman in Mexico who designed a solar cooker out of a windshield shade. 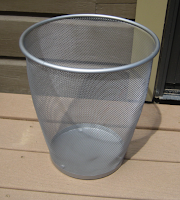 I made one and it was CHEAP and EASY! Another great thing about this is that you can STILL use your windshield shade in your car when your not making your dinner. :) To make the funnel you just use velcro so it's easy to go back and forth. 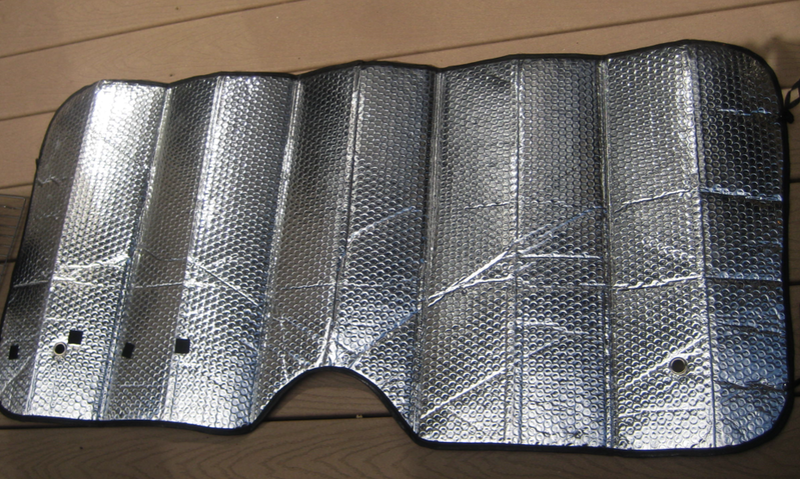 Besides the windshield shade, you need velcro, oven bags, a black pot, cooling rack, and a trash can or bucket to set it on. 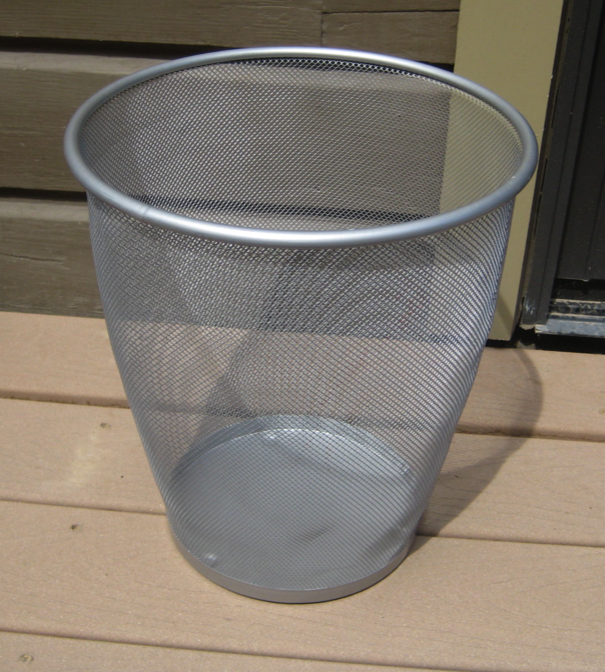 -After you make your windshield into a funnel you place it on your trash can or bucket. -Then you put the cooling rack (the rack you use to cool cookies) right in there. -Put the food you want to heat up or cook in your pot. 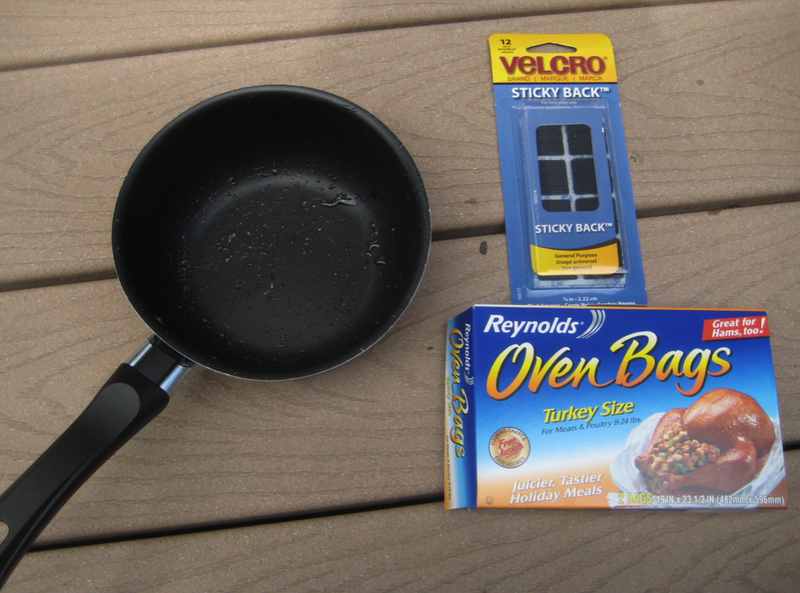 -Place the pot in an oven bag and put on the rack. I tied the bag shut with a twist tie. -Then point the funnel towards the sun. After about 20 minutes I had boiling water! That was on a mostly sunny day. With cloud coverage it will still work but it will take longer. It could get up to 350 degrees! 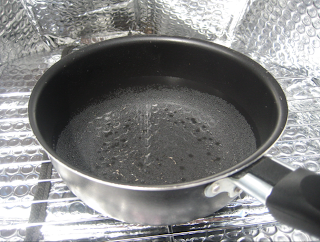 Using the cooling rack allows the sun to get under the pot. I think this is a great idea for your food storage. If you have lots of canned beans, soups etc.. and no power - this is a great cheap, easy way to heat it up! I'm going to find a black pan and try brownies! Go here for more detailed instructions. Kathy Dahl-Bredine created this. She said she has made granola, brownies, lasagna, vegetable and has used it to purify water. Such a great idea!!! If you try this let me know what you make and how long it takes! WOW!!! seriously ? it worked? WOW incredible! !